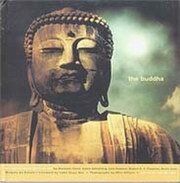 Prince Siddhartha Gautama, also known as the Buddha or the Enlightened One, was born in 563 B.C. on the border of India and Nepal. Growing up in a royal family with every privilege, at age twenty-nine he left his family to become a wandering ascetic in search of enlightenment. He studied meditation with many teachers, and after six years of seeking, he sat all night under the bodhi tree and found enlightenment. In the twenty-five centuries since then, his teachings have spread across the globe, inspiring millions of practitioners as well as some of our great modern literary figures, from Jack Kerouac to Herman Hesse. In this beautiful "visual biography," Tom Morgan, editor of the acclaimed coffee-table book A Simple Monk, gathers some of the most interesting writings about the Buddha and the religion he inspired and mixes them with gorgeous photographs depicting Buddhism around the world. Writings range from excerpts from the great literary classics of Hesse and Kerouac, to reflections on the Buddha from great teachers like Thich Nhat Hanh and Jack Kornfield, to a narrative of how death-row prisoner Kevin Sack found salvation in Buddhism, to religious scholar Karen Armstrong's wonderfully lucid biographical illuminations of the historical figure. This visual feast will appeal to the growing legions of Buddhists as well as those interested in a hip, modern, and diverse look at who the Buddha was and what Buddhism means today.